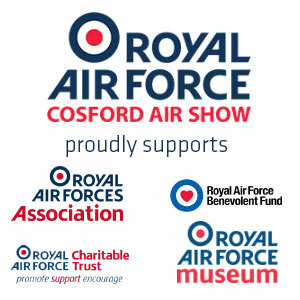 The RAF Cosford Air Show offers one of the most exciting opportunities in the year to entertain customers, colleagues or friends in one of our luxurious VIP enclosures. Situated on the crowdline, these Chalets are the perfect location to enjoy the flying display. The ultimate VIP Air Show experience, here you will have access to unparalleled networking opportunities with key military & aerospace guests. The chalet is also a perfect venue for couples and groups of friends to enjoy the Air Show with sumptuous dining and stimulating company. Providing a unique venue for special family occasions, the Whittle Chalet is also an ideal option for hosting corporate guests who wish to enjoy a more relaxed environment. Hosted by RAF Officers, guests will be treated to morning coffee, buffet lunch and afternoon tea. Ideal for both families and aviation enthusiasts being centrally located on the crowdline, providing the best possible view of the flying display. A great base for your day-out, with seating & private toilets provided. Food & refreshments are available to purchase within Cosford Club, but guests are welcome to bring their own picnic to enjoy. Reunite, relax and reminisce. Meet comrades old and new, bringing all our forces together to enjoy our exclusive enclosure where you can socialise with RAF Cosford Personnel and get one of the best views of our adrenaline fuelled air display. Situated in the centre of the showground, with dedicated garden, toilets and food and refreshments are available to purchase, guests will also receive a complimentary Air Show Souvenir Programme. Entry to the Squadron Reunion Enclosure is restricted to serving or ex-serving members of any of the three armed forces and their families. On booking you will be asked for your service number. Looking for a bespoke opportunity to entertain? Making your day a success is at the heart of what we do, our expert team has a wealth of experience in preparing tailored VIP hospitality packages for personal celebrations and corporate gatherings alike.